The top singles chart in the U.K. was yet again dominated by Drake, as his track ‘In My Feelings’ was No. 1 for the third week. Similarly, the soundtrack to the movie ‘Mamma Mia! Here We Go Again’ continued its reign at the top of the album rankings, for the second week. 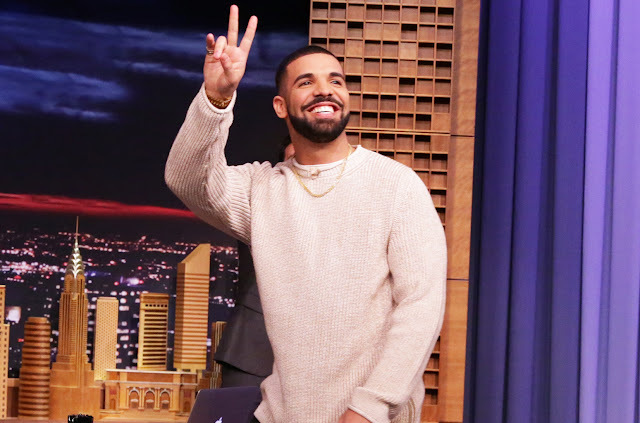 There are not many changes in the top five of both the charts, with the single by Drake managing 83,000 combined units to finish at No. 1. Following it is ‘Shotgun’ by George Ezra, which has finished No. 2 for the fourth week in a row. The top three remains the same, as ‘Rise’ by Jonas Blue, which also features Jack & Jack, comes in at No. 3. However, there is a change at No. 4, with ‘No Brainer’ by DJ Khalid that features Justin Bieber, Quavo and Chance the Rapper, occupying the spot. The top 5 is completed by ‘Youngblood’ of 5 Seconds of Summer, which drops a place from No. 4. Among other changes in the chart, is ‘Taste’ by Tyga featuring Offset, which climbs four places from No. 15, to finish the week at No. 11. Entering the chart at No. 17 is ‘Fefe’ sung by Nicki Minaj, 6ix9ne and Murda Beatz, with ‘Body’ by Loud Luxury that features Brando, also managing to finish in the top 20, as it climbed seven places from No. 26 to No. 19. Meanwhile on the artist albums in the United Kingdom, the soundtrack of ‘Mamma Mia! Here We Go Again’ has kept its No. 1 spot. The album managed close to 15,000 combined units more than its nearest competitor, which was the soundtrack to another movie ‘The Greatest Showman’. Following both of the movie albums at No. 3 is ‘Scorpion’ by Drake, with ‘Staying At Tamara’s’ at No. 4 and the final spot belonging to the first ‘Mamma Mia’ movie’s soundtrack. This top is the same as last week, with ‘Gold – Greatest Hits’ of ABBA following them at No. 6, after climbing up a place from No. 7. Among new entries in the chart, the one to finish the highest is ‘Vicious’ by Halestorm. The album by the rock band from United States, has managed a spot in the top 10 at No. 8. After that the newest entry is at No. 13, by the name of ‘Talk of This Town’ by Catherine McGrath. This is the first album by the country singer, who hails from Northern Ireland. Just behind it at No. 14 is ‘Cage To Rattle’ by Daughtry, followed by ‘Testament’ at No. 15 by All Saints. At No. 20 is the set ‘Teatime Dub Encounters’ by Iggy Pop and Underworld. Finally, the album to manage the most sales was similar to last week, as ‘Now That’s What I Call Music 100’ maintaining its grip on the No. 1 spot for the second week in a row. The album had managed 176,000 combined units in its first week of entry, which it now follows up with 75,000 units.